Dr. Dana A. Williams, vice president of CLA, says that “there is a good working relationship now” with MLA. NEW ORLEANS ― Just ask Dr. Kokavah Zauditu-Selassie if she’s ever been a member of the Modern Language Association, and suddenly the full professor of English at Coppin State University in Baltimore becomes deeply expressive. For the last 25 years, Zauditu-Selassie has been an active member of the College Language Association (CLA), the scholarly organization that sprung up 77 years ago after the MLA — like many other academic organizations — abruptly shut their doors to the legions of African American scholars that were beginning to pave out careers within the academy. While the MLA is quick to point out that there was never an official policy to exclude Blacks from participating in one of the world’s largest academic organizations, they concede that for decades its membership was less than eager to embrace African Americans into their scholarly ranks. Faced with rejection, African Americans did what they have always done: they went out and created an organization of their own, spearheaded by the late Dr. Hugh Morris Gloster who was president emeritus of Morehouse College when he convened the first meeting of CLA. At the time, African American and Caribbean literature wasn’t even recognized as a formal course of study at most colleges and universities. CLA now has a membership of about 750 and gathers annually to focus exclusively on themes related to African American, Caribbean and African diaspora studies. Though much smaller than their MLA counterpart, this week CLA convention participants traveled to New Orleans from as far away as Nigeria, China and Japan. 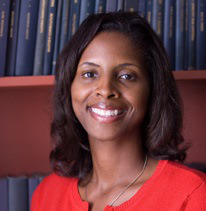 Despite how the organization came into existence, Williams says that the not-for-profit now operates in an “autonomous space” where scholars get a chance at the convention to engage with each other in a low-pressure but academically rigorous setting that allows for informal meet and greets and the mentoring of younger academics. The topics are diverse too, ranging from discussions about iconic Black authors like Octavia Butler and Zora Neale Hurston, to conversation on languages and identities in African and Trans-Caribbean Literature and Film. Dr. Angelyn Mitchell, an associate professor of English at Georgetown University moderated a spirited roundtable titled, “Teaching African American Literary and Cultural Studies in the 21st Century.” The panelists discussed strategies on how to introduce Black canonical texts to a generation of students deeply immersed in hip hop culture. Mitchell holds membership in both CLA and MLA, as do many Black scholars who attend CLA, despite the fact that less than five percent of the panels and discussions at the MLA convention which takes place in December or January each year, is devoted to Africa and the study of the diaspora. That’s one of the reasons why Dr. James L. Hill, Chair of the Department of English, Modern Languages, and Mass Communications at Albany State University in Georgia let his MLA membership lapse many years ago. Early tensions between the two groups have improved. Now, MLA sends a representative to the CLA convention each year and offers financial support, while CLA is guaranteed a space on the MLA convention program. “There is a good working relationship now,” says Williams. Dr. Warren J. Carson, who served as immediate past president of CLA but who also holds membership in MLA, says that the two organizations function quite differently.